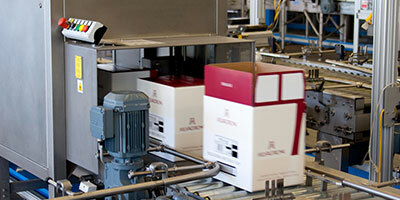 Checking outer packaging specifically: precise full case inspection. 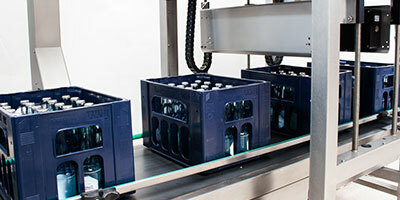 The HEUFT GX checks the quality features of newly packed bottle crates, trays and cardboard boxes. 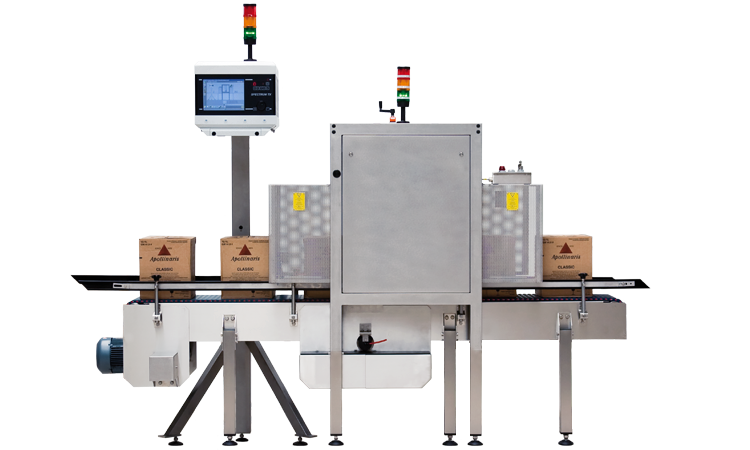 It detects external features such as deformations, raised cardboard box flaps, incorrect colours and logos just as reliably as containers inside the outer packaging which are missing, clearly underfilled, lying, too high or incorrectly closed. Ensuring transportability and unpackability: detecting distorted cases. 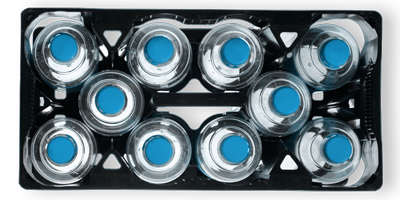 Stackable, transportable and functional: full cases should be in top shape. Otherwise they cannot be stacked, transported or stored. 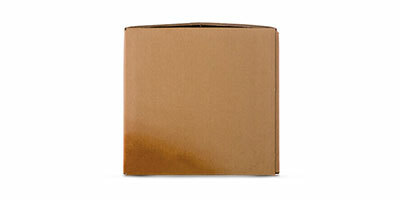 Furthermore distorted cases and cardboard boxes make it difficult to remove the containers contained in them. 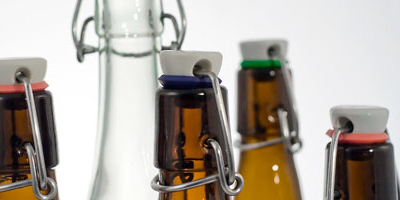 Therefore the HEUFT GX only allows outer packaging to pass which is in top shape. It checks its dimensions and measurements for this using sensors. The full cases in question are removed before being loaded if these deviate from the specifically determined limit values. 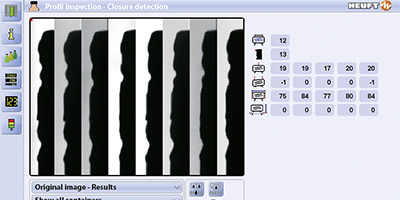 Detecting raised flaps: checking they are closed. Falsely positioned, raised and incorrectly closed: this not only looks unsightly if this is the case with the flaps of cardboard boxes for drinks. 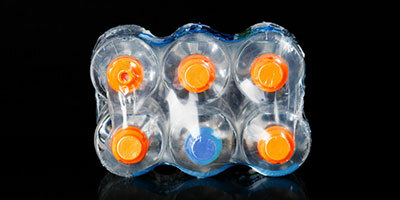 In addition the effectiveness of the outer packaging and the safety of the products contained in it are at risk. Therefore the HEUFT GX checks the position and the correct fit of the flaps and thus ensures that the complete case is closed. Sensors scan its edge areas for this. The measured values change if they are covered by raised flaps. Thus the respective outer packaging is detected reliably. What is on the inside counts: checking that all the containers are present. 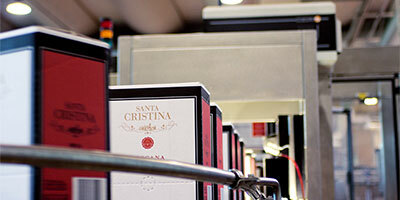 Optical, inductive and radiometric: the HEUFT GX can be equipped with different technologies in order to check the contents of the newly packed full case. 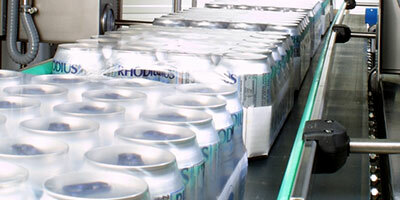 The infrared detection checks that all the containers are present in the case. It makes use of the reflection characteristics of their closures for this. 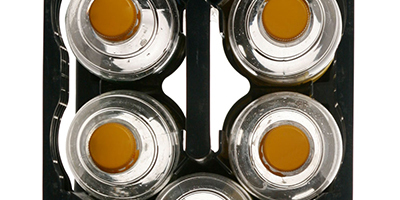 Inductive proximity switches provide precise results if these are made of metal or foil. 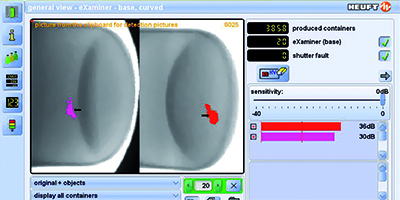 The X-ray check offers the best detection reliability. 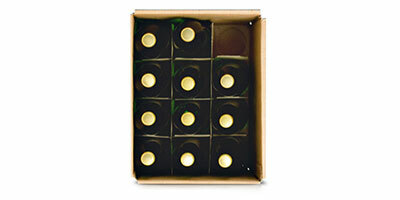 It is the obvious choice especially for completely closed, non-transparent outer packaging. 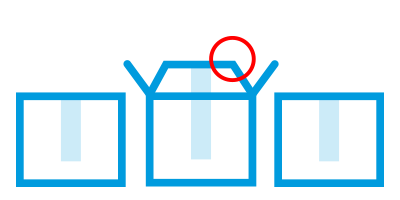 The absorption rate of the X-ray which is emitted in small doses changes when containers are missing. 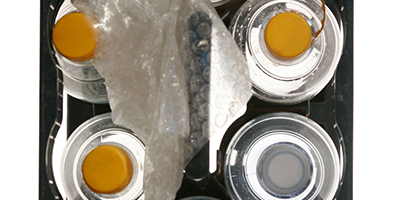 Therefore lying and extremely underfilled containers, as well as those which possibly leak, are identified. Checking the profile: examining the vertical profile. 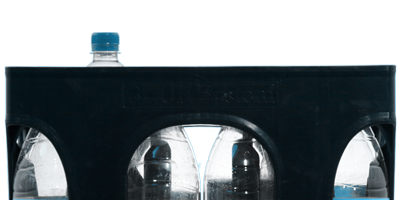 Distorted compartments, foreign objects under the bottles, broken or deformed containers: different factors result in deviating height proportions in the case. The HEUFT GX records them by means of an ingenious sensor system. It covers all the rows and compartments without gaps. 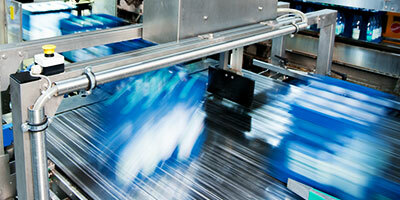 Preventing recalls: the reliable rejection of faulty cases. 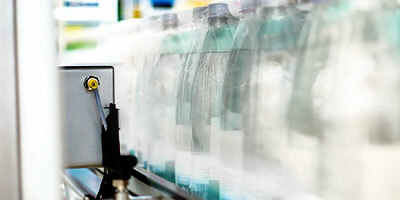 Fast, careful and accurate: highest precision when detecting faults is only effective if the products in question are also removed afterwards. 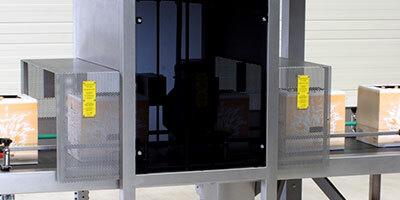 The device either emits a conveyor stop signal or activates the corresponding rejection system, such as the HEUFT xcase, in order to remove incomplete cases from the production flow. 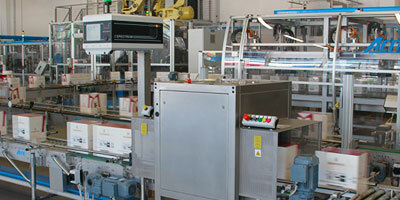 Changing automatically: automatic adjustment of the detection units. 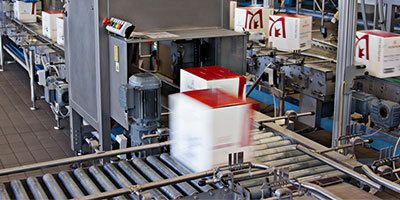 Reliable, uncomplicated and easy: the HEUFT GX carries out brand changes without manual intervention. 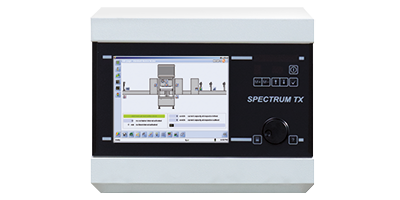 All the parameters are adapted automatically and the height and position of the detection units adjusted by motor. This practically rules out misadjustments. This save valuable time and money. 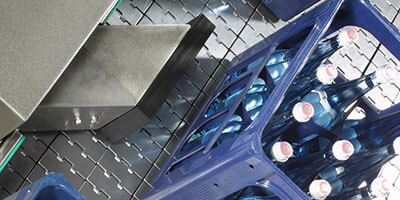 A special camera system reliably differentiates between different case colours for highest brand purity. 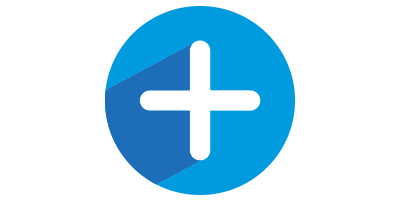 Three measuring windows can be determined for this so that differently coloured promotional stickers and symbols do not distort the result. The reliable detection of non-brand logos is also achieved optically. Up to seven different logos can be photographed and compared to the stored original in this way. 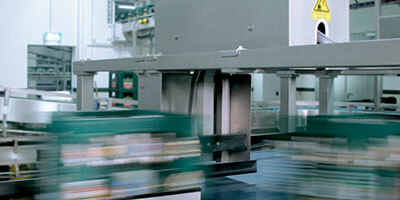 The precise detection and differentiation of barcode labels is carried out by a special sensor system. the right rejector for all cases. 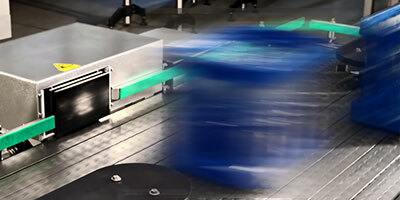 Discharging, rejecting and distributing: HEUFT rejection systems for packaging remove faulty crates, cardboard boxes, trays or shrink wrap packages reliably from the production flow. They achieve maximum performance optimally matched to their respective task with regard to precision and carefulness.